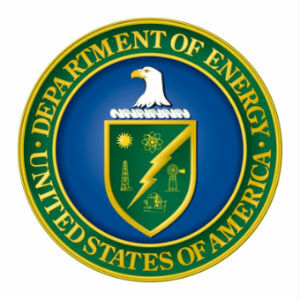 OST led a task order that provided comprehensive Information Technology Operations and Maintenance Support (ITOMS) to a US Department of Energy’s (DOE) laboratory. This laboratory is located at three geographic locations with a staff of approximately 1500 personnel. Fundamental to OST’s work was a focus on improving a support operation that had experienced multiple, unsuccessful attempts to meet the laboratory’s evolving needs and support its mission of discovering, integrating, and maturing technology solutions to enhance the nation’s energy foundation and protect the environment for future generations. Through this project, OST significantly advanced the ability of the organization’s IT staff to operate and execute at a high level of strategic planning and budgeting. By putting in place a stable and reliable IT environment, and maturing processes using the CMMI Level 3 Services Framework, OST dramatically increased system availability. OST’s Chief Engineer completed a multiyear comprehensive review and forecast of the laboratory’s IT environment. This document communicates the current (as-is) IT environment that enables the conduct of the customer’s business and the near-term IT architecture (to-be) required for it to effectively conducts its business over the next three years. A companion document detailed the strategy and resource requirements for transitioning from the as-is state to the to-be state over that three-year horizon. OST provided a clear strategy for the government’s information technology posture and aligned all efforts to execute upon a chosen path to realize this value based on the implementation of the information in these two documents. When OST started working with the customer, the government executive asked us to mature their Information and Technology Environment to align with their strategic vision and operate with effective governance processes. The environment OST inherited was complex, with a blend of legacy and emerging technologies. The functional, latency, availability, and recovery of systems also needed to be brought to the desired performance standards. By developing a technology roadmap, OST positively impacted the ability of the government IT staff to articulate its long-term goals, plans, and requirements to customer leadership, leading to their ability to secure funding for the generational, multiyear initiatives required to build the desired IT environment to support its mission. This, in concert with a robust change management and governance processes that addressed the human element, was important to the successful management of this complicated and complex multi-site IT enterprise. OST provided the customer with a stable, reliable IT environment far beyond what could / should be expected for the given funding levels, and we did this 24 x 7, 365 days per year. We successfully executed major, enterprise-level projects that directly impacted every staff member throughout the organization. A CMMI Level 3 (for Services) framework developed and implemented by OST to improve process maturity led to dramatic increases in system availability. After making a significant overhaul to the legacy (pre-OST) Change Management Program, the customer experienced an 80.5 percent decrease in unscheduled outages. This increase in stability and OST’s project management capabilities gave the federal staff enough confidence in us that they assigned OST lead roles in major system upgrades, including the implementation of two-factor authentication and the migration of core services to the cloud. The customer’s new level of process maturity has been tested numerous times. One significant event occurred when its data centers suffered unplanned power losses due to electrical work. Return to service was smooth and quick, providing resiliency for systems across the enterprise needed to fulfill the mission. Executing against a roadmap with rigorous governance for both technology choices and changes applied combined to bring predictable, high quality performance to a complex environment that is used for the future of our nation’s energy independence.